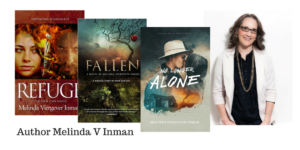 November 3, 2017 by Melinda Viergever Inman, 6 Comments, in #Fallen, #FallenNovel, #NoLongerAlone, #RefugeNovel, A Novel Journey, Autoimmune, God's Calling, How a writer is formed, Seriously Write, Spiritual Growth, Suffering, Transformation, Why write? This post appears today on Seriously Write. To interact there, click HERE. When I attended my first writers’ conference, I learned that authors who wanted to publish were expected to have a blog. 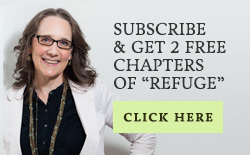 That trend had begun years earlier with Ann Voskamp, the most famous blogger of that era. In fact, her first book was created from her blog content. I went home and began to blog. But much has changed in the writing world, including this expectation. About the time I began blogging, it seemed that every other new author also began blogging. The writing of words exploded, producing so much content that no one could keep up with every writer they wanted to follow. Our inboxes filled up, and we didn’t have time to read the plethora of words. I’ve always loved this verse from Ecclesiastes. “Be warned: the writing of many books is endless, and excessive devotion to books is wearying to the body” (Ecclesiastes 12:12b NASB). Amen to that! You probably agree. If we’re published, and we’re not in the upper echelon of authors who have people to do the rest of the work, we must balance several different tasks. We’re composing and/or editing new novels while also completing all or most of the marketing, content design, and business management of our previously published work. We also have a life. Or, at least, we hope to have a life! These stressors are why we encourage new writers to enjoy the relative calm of the pre-published phase of writing. When we examine the list of responsibilities that published authors have, we can easily see that we must listen carefully to God’s leading if we want to keep our lives balanced. So, my encouragement to you is to listen to the Lord, not to the latest author guru. Yep. I actually said that. Don’t necessarily follow the advice of the latest hotshot. Don’t jump through the hoops, just because they’re being held up in front of you. Maybe you don’t need to blog. Is it something you enjoy? Does it connect you with your readers? Examine the effectiveness of your blogging goals. Is it accomplishing what you desire? Pray about it. Not everyone blogs, and you may choose not to. 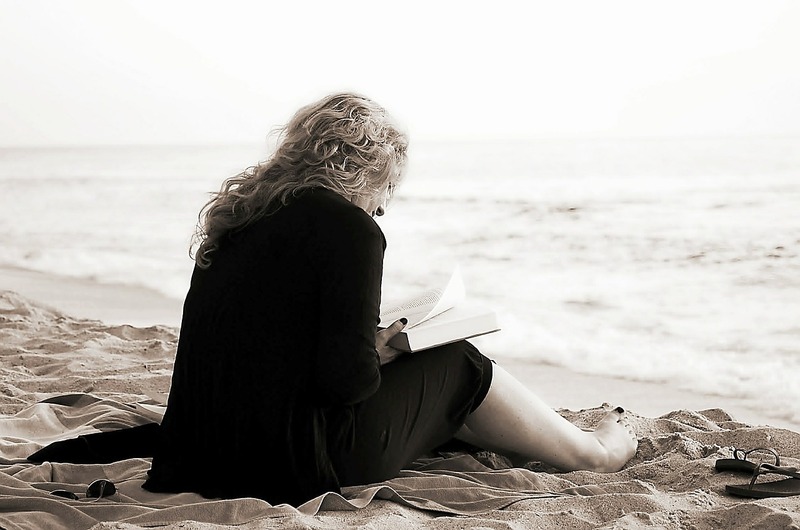 Some author gurus recommend churning out three novels a year! Really? Maybe you’d like to have a life. Maybe you’re also employed. Maybe you homeschool. Maybe your children and your husband need you. Maybe all of the above. Pray. Critically evaluate this author goal. Does the Lord want this for you? Put everything before Him and follow in His steps. Authors are the prophets of our era. We write the words others are afraid to speak. We shine the light of truth into the dark corners. We illustrate these truths in stories. Therefore, it behooves us as Christian writers to attune ourselves to the Lord’s leading and to write as He leads. Jesus usually did exactly the opposite of what the gurus expected. Remember that. 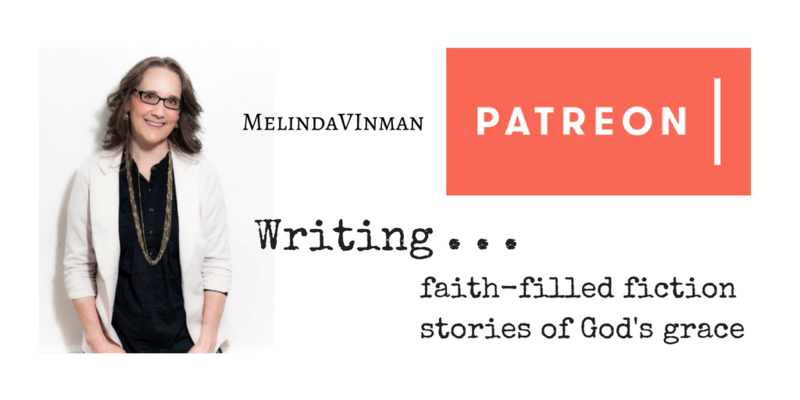 The solution to our time-pressured scheduling conundrum is not to follow the guru and jump through the hoops, but to present to God our requests for guidance and solutions for our writing, thanking Him as we do and following His leading. And then “the peace of God, which transcends all understanding, will guard our hearts and our minds in Christ Jesus” (Philippians 4:7 NIV). Pray thoughtfully. Listen to Jesus. Write as He leads, even if you’re the only one traveling on that path. To write with clarity and focus, we must begin here. 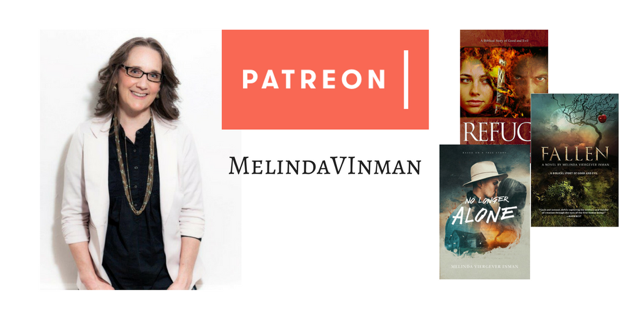 Click on me to see my books or to visit Patreon. Oh my word what a sensible post. Relief! Thank you. Even though that’s what I already felt was right for me, because I’m not really a “follow a guru” type, this post lifted off some secret pressures I had felt and not realized. I’m glad my words encouraged you! Press on, and God bless you! So true! Great advice. It’s important to be who God made us to be. I figure I can learn from other authors but at the end of the day I ask myself, “Was I true to God’s calling?” Some days is can say yes, and of course there are those days I fall short. We all do! It’s difficult to keep our eyes on Jesus and to remain true to our calling while living in this loud world with people pulling us in all directions. When he leads and we follow, no matter the outcome, we know we’re in his will. It’s a daily challenge. Melinda, your faith and heart are such a blessing to me! More important than anything else is the question, “What is God calling each of us to do?” We must keep asking this of ourselves in humbleness before Him. What good is a blog or a book if your family needs you? Thank you for speaking with truth and love. God bless you! 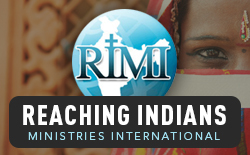 Your ministry reaches far! Melissa, thank you so much for your kind words! When I write for other writers, I always wait until the Lord lays his message on my heart and mind. That sounds mystical, I know, but he always inspires. To God be the glory!